Need a "Sure Thing" for that special person this Valentine's Day? Country Flower Shop has you covered with the "Sure Thing" Special. 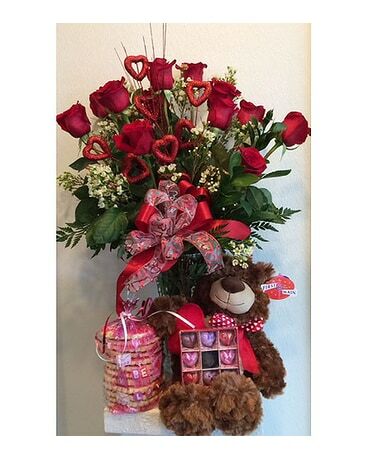 1 dozen breathtaking premium long-stem red roses in an elegant vase with decorative embellishments and your choice of the following delectable sweets and gift add ons which are sure to be unforgettable!